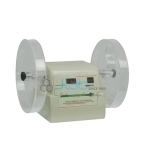 Friability Test Apparatus India, Friability Test Apparatus Manufacturer, Friability Test Apparatus Suppliers & Friability Test Apparatus Exporters in India. 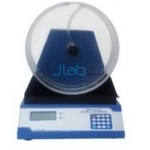 JLab is renowned Exporters & Manufacturer of Friability Test Apparatus & Scientific Lab Instruments India, Friability Test Apparatus Exporters, Educational Science Lab instruments Suppliers India. Seven segment LED display Sturdy motor to drive drums at constant speed Digital Friability Test Apparatus is a precision instrument suitable for measuring obression strength of tablets.